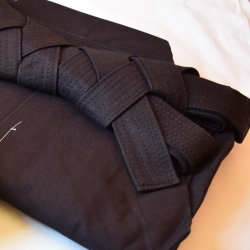 Very good hakama for training: easy to care, the folds remain even after training and laundry. From beginners to high graded martial artists. 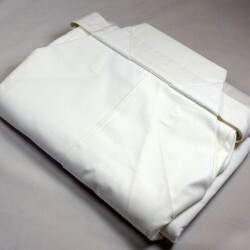 Very easy to care and to wash because the fabric is robust and dries quickly. The folds stay in place. 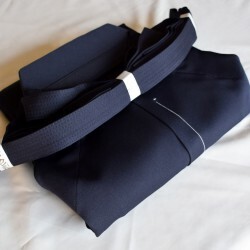 This hakama is suitable for everyday training and intented for beginners to highest level practicioners. Standard thickness of fabric. The thickness of fabrics is standard. 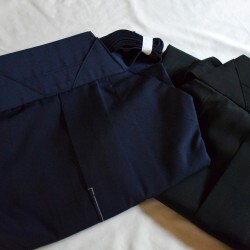 If you are interested in the same type of hakama but look for a thicker and heavier one, check out our Hakama Polyester B. The fabric was created by a textile company: "Tore" here in Japan more than 50 years ago. 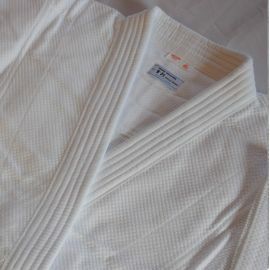 This high-quality synthetic fabric called "Tetron" is used in the textile industry for sportswear (hakama, keikogi, etc.) manufacturing, among other things. 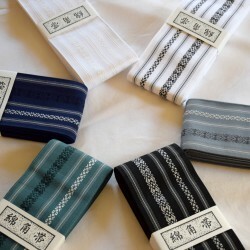 IWATA has been using this fabric for their hakama for over 50 years and developed a quality adapted to the needs of aikidoka. 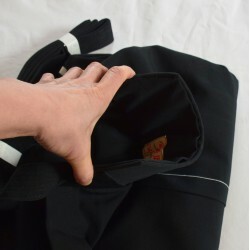 This hakama is very easy to care and machine washable. 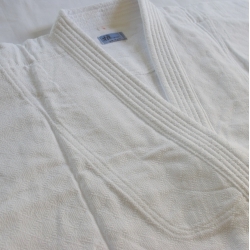 The fabric is very soft and smooth to the touch, you can feel the quality of this hakama just by touching it. 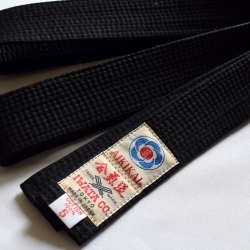 All the hakama made by Iwata Aïkido have 7 seams on their strings, which make them more durable. 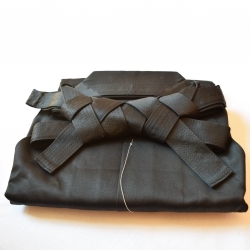 This hakama has been designed especially for western practitioners and reinforced, upon our request, on both sides with double-seams so that it can be used for intensive trainings. 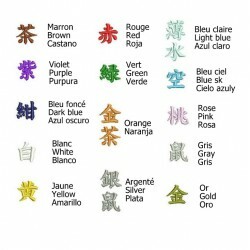 Another distinctive mark of our hakama: they all have a clothing tag in French. Koshiita is made of a very smooth and flexible rubber which can keep its shape but won't cause injury in a fall. 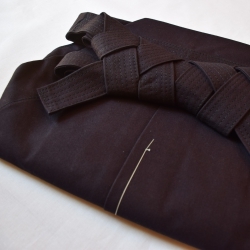 Like all the other IWATA products, this hakama has been manufactured with great care and attention to detail. 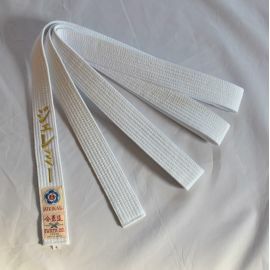 Length of Koshihimo (string) in front: standard size 4m, possibility to modify it (4 sizes available).